Are you planning a trip to Washington, D.C. soon? Along with the monuments surely you’re going to stop for a bite to eat. The nation’s capital boasts some of the best restaurants in the country and it is certainly a melting pot of cultures and cuisines. Why not add a stop for Ethiopian or West African food? Here’s a small list of places the ONE Campus team recommends. 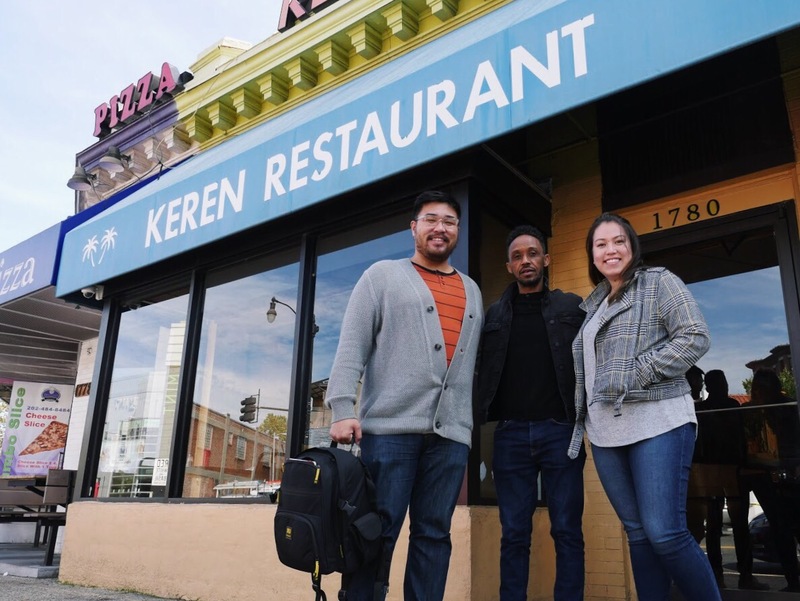 If you’re looking for a cozy space to eat Eritrean and Ethiopian food while listening to 90’s R&B, Keren is a cafe that will not disappoint. And if you’re in Washington, D.C., having Ethiopian food is a must. Gordon, ONE Campus Manager and office foodie, says, there’s no single “native District cuisine,” but with such a large Ethiopian population in the area, it’s safe to say the tasty fare can be considered District food. 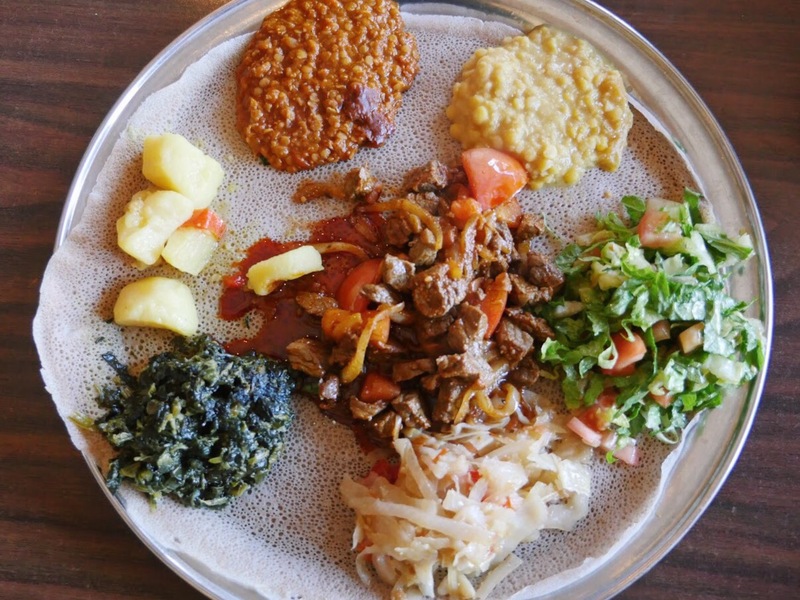 Located in Adams Morgan, Keren has an all-day breakfast menu, cheap Ethiopian beer and arguably the best injera in town. A dining staple in Ethiopian and Eritrean culture, injera is a sourdough flatbread with a spongy texture that is eaten with a variety of stews and salads. Be sure to come hungry and with some time to kill – the large plates and warm atmosphere will set you up to take your time and enjoy the meal! 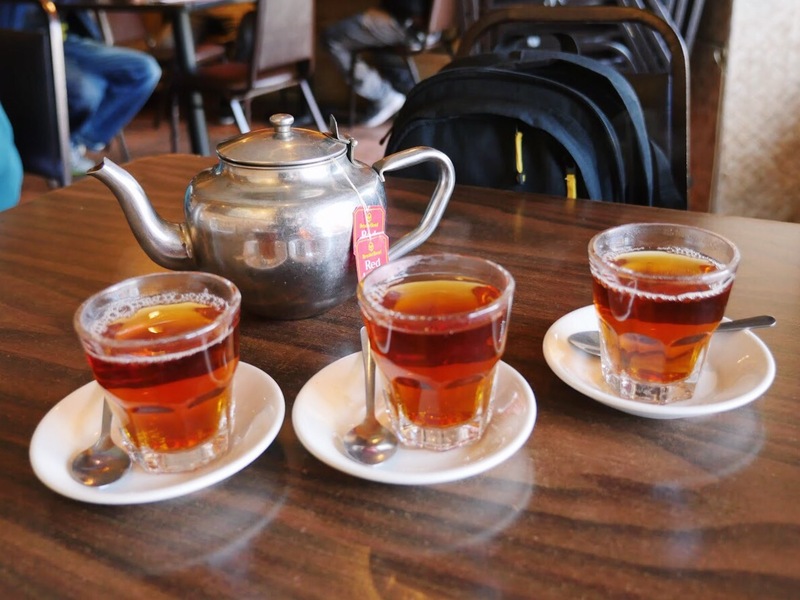 Start off with the spiced Eritrean tea, loaded with clove and cinnamon. Depending on your preference, go for either the Fish Dulet or the Keren Special. Both entrees come with spongy injera and assorted vegetable sauces perfectly seasoned with berbere (a traditional Eritrean spice) that can be dosed with their house made awaze (check out what ONE staffers had to say about this hot sauce here). This relaxed restaurant located off U Street dishes up traditional Ghanaian food in a space that looks like it could transition into a DJ night at any moment (in fact, they host Afrobeat nights!). 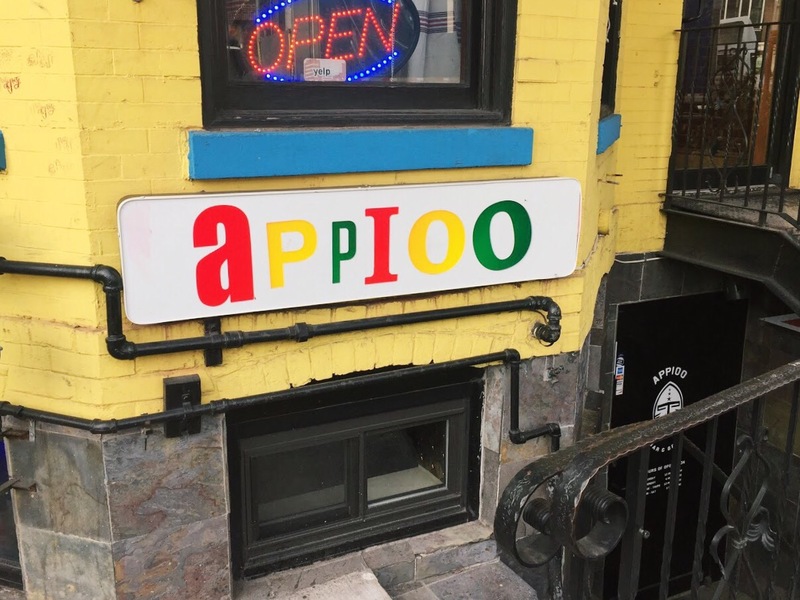 With a full bar, color changing lights and West African decor lining the walls, Appioo is an exciting place to say the least. 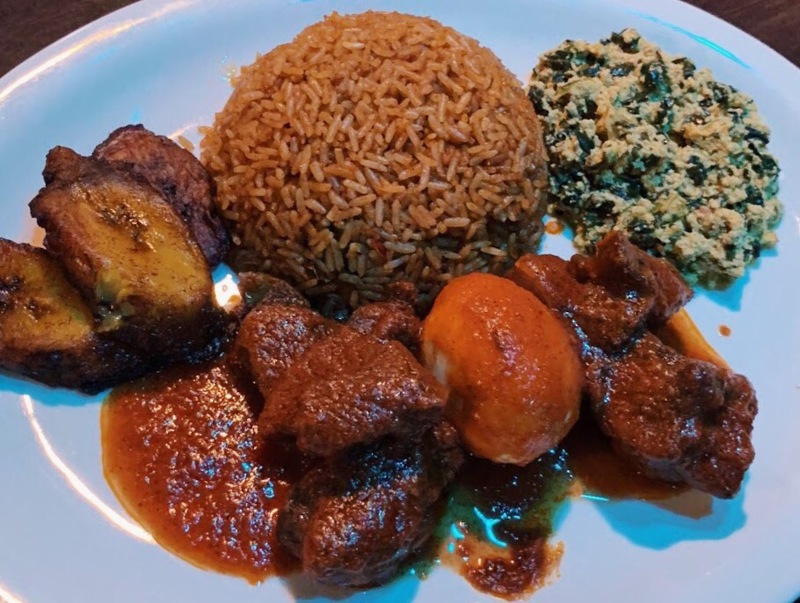 If you’ve never had Ghanaian food, try the Appioo Platter and ask for beef, egusi, goat meat and jollof rice (have you tried Gordon’s version, yet?). Their jollof rice is made with tomato, garlic and onion, so every bite of this entrée with be full of flavor. 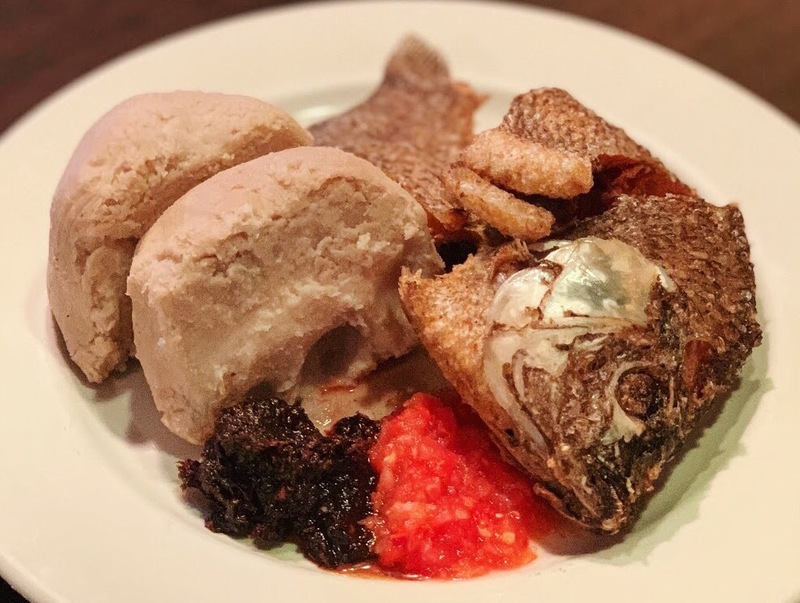 For those looking for a classic Ghanaian dish, we recommend the Komi Ke Kenan, a fried fish dish served with kenkey (a starchy dough made from fermented corn and cassava; Gordon loved it, others in the party did not) and shito (Ghanaian pepper sauce). Pillow-y in texture, kenkey tastes like the maize found in tamales. Regardless of your entree choice, starting off the meal with yam chips, a Ghanaian take on fries, is a must! Interested in trying West African fare? This spot in Washington’s Shaw neighborhood is the perfect place to start. 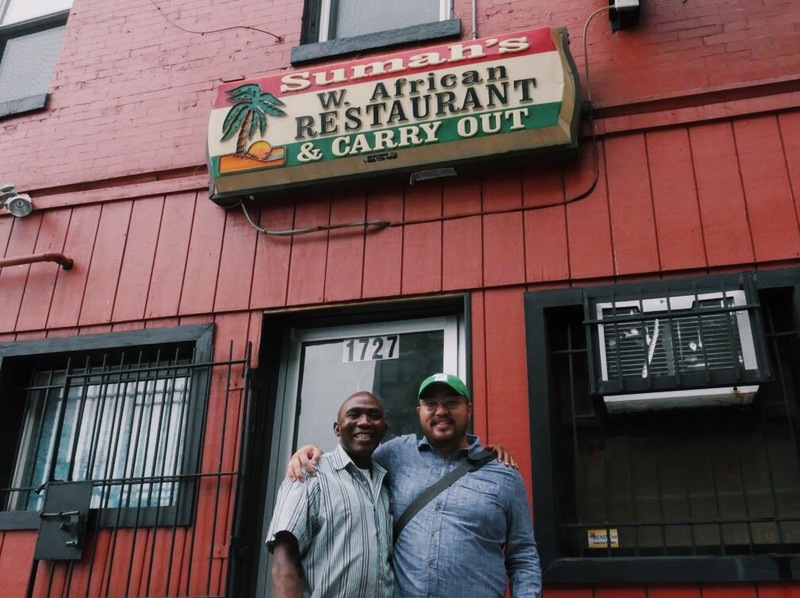 Sumah’s is a no-frills restaurant run by a welcoming husband-and-wife duo, offering West African staples like jollof rice, fufu and peanut stew. 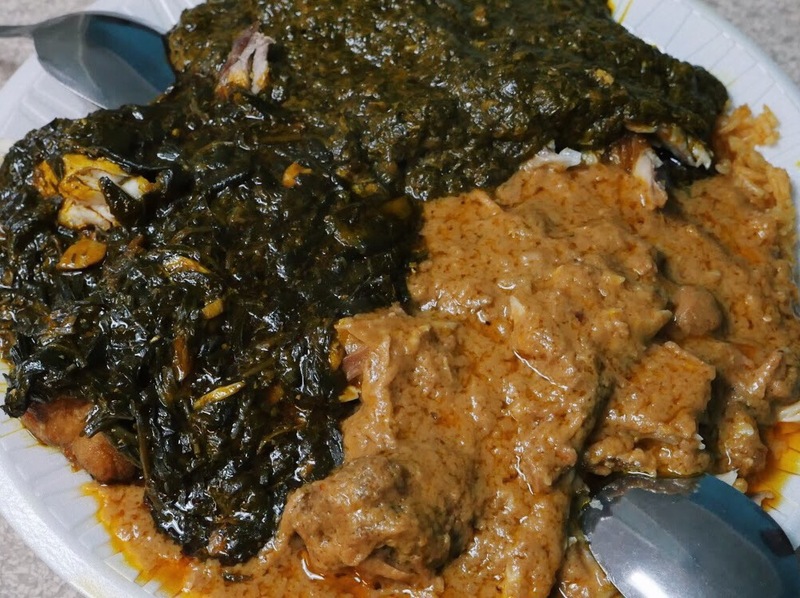 Although these dishes are common within the region, the owners are from Sierra Leone so you’ll be getting their renditions. If you’re a first timer, the co-owners will give you some tastings of what they have to offer. We recommend ordering cassava fufu with fish, okra sauce and krain-krain (a jute leaf stew; it has the taste of okra). Similar to the flavor of mashed potatoes, starchy, dough-like fufu is the perfect vehicle for the assorted vegetable stews. Gordon highly recommends the homemade ginger beer. The spiciness of the ginger paired with the tartness of lemon is a nice palette cleanser for all the stews you will eat. Not a fan of ginger beer? 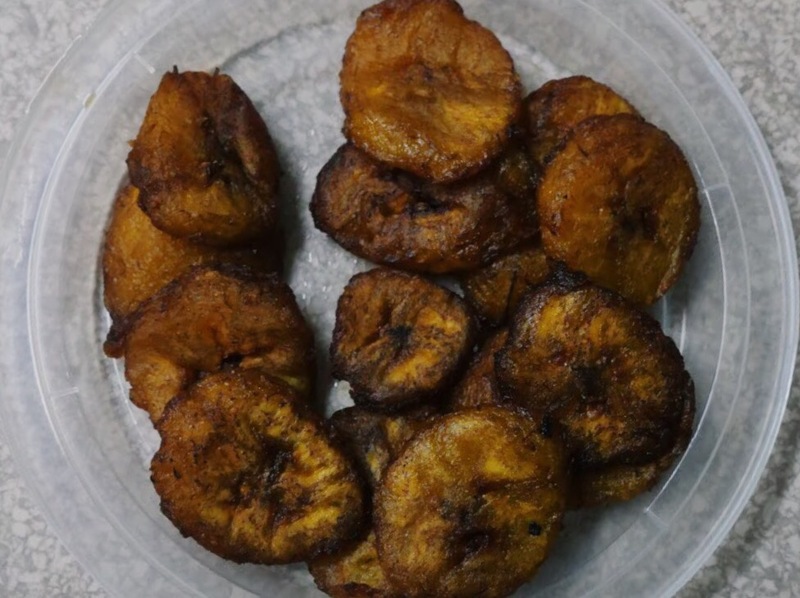 Ask for a side of plantains! Editor’s note: In late November 2018, a fire struck Sumah’s forcing it to close for renovations. ONE Campus will update this blog when the restaurant reopens its doors. Is there a restaurant the ONE Campus team missed? Recommend a dish or restaurant in the comments below.